My daughter is a lover of art. She looks forward to art class at school, comes home to paint, craft, bead and create whenever she can. 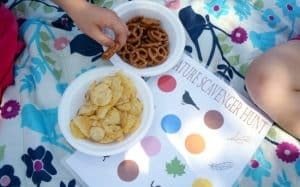 I so love having a little creative by my side. 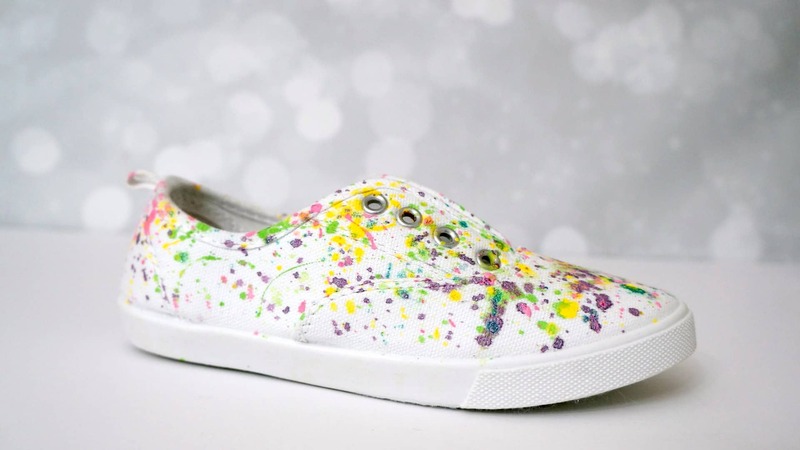 This summer she asked, quite specifically, for a pair of paint splatter canvas shoes. She wanted white shoes with paint splattered on them that she could wear to school so everyone would know how much she loved art. And she wanted a pair of shoes that no one else had. So finally, after months of asking, I picked up a pair of white canvas shoes and perfected a paint splatter technique that she approves of! Get all the details below. You can make a pair that are truly unique and can be worn without fear of ruining the design on them. Watch this video for all the details then scoll down for a full supply list. 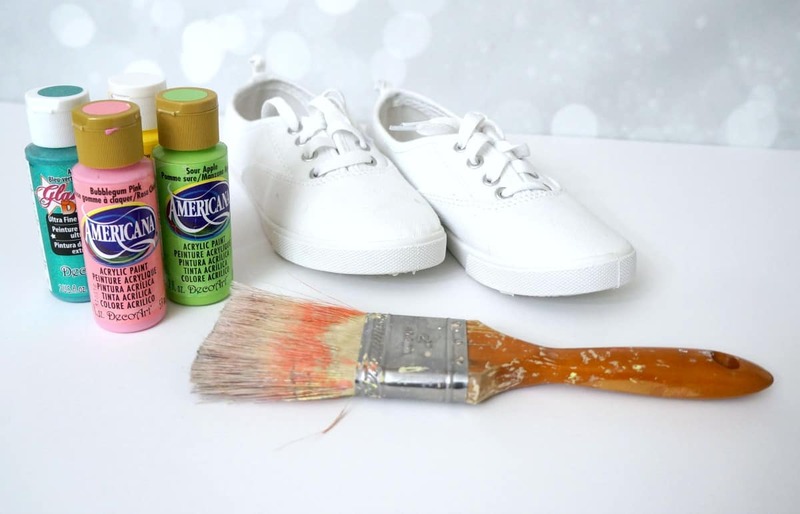 Start by taping off the surfaces you do not want to paint like the rubber sole. 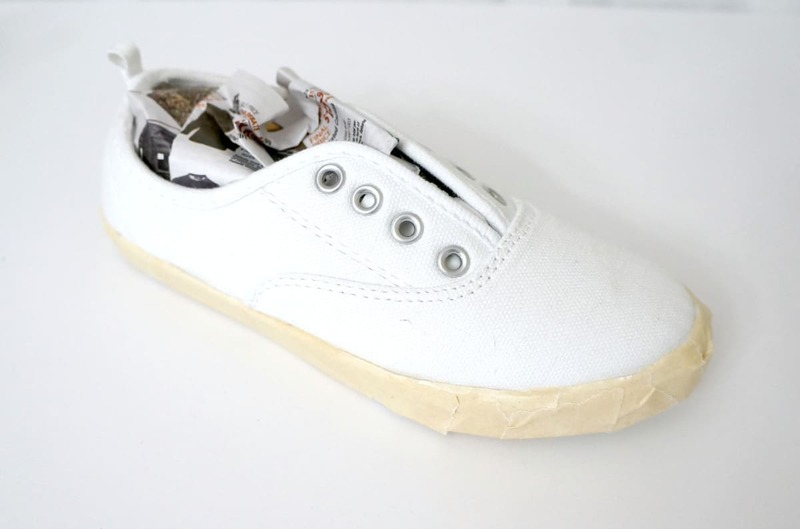 Remove the laces and stuff the inside with newspaper. This helps the shoe keep it’s shape and protects the inside and tongue from paint. Dip your brush in water then swirl it in the paint color of your choice. 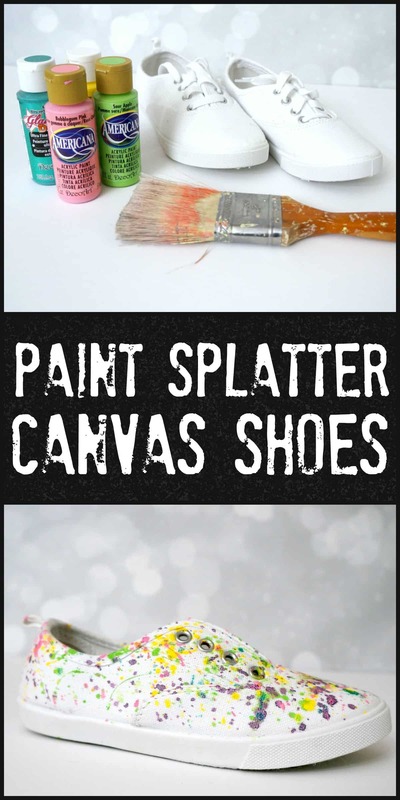 Hold the brush over the shoe and gently tap the barrell until the shoe is covered in paint splatter. Rinse the brush and repeat with another color until you are content with the coverage. Let the paint dry completely then remove the newspaper and tape. 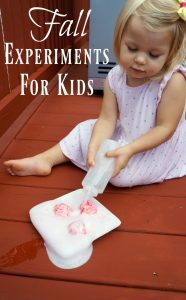 Follow the directions on the fabric protector to waterproof the shoes. My daughter loves these shoes and they were so much fun to make. i bet your daughter is rocking this in style!! they turned out super cute!